Camden, 4 months, is snuggled by his mother Amanda Davis in their private room at a Queen of Peace Center maternity home in the College Hill neighborhood of St. Louis on Thursday, Feb. 23, 2017. 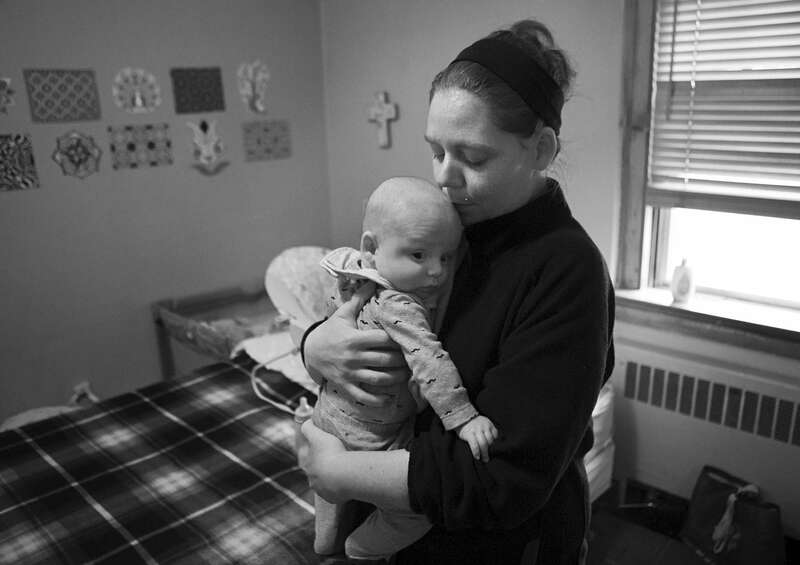 Davis, a recovering heroin addict, entered the Queen of Peace program to help her kick her heroin addiction when she found out she was pregnant with Camden. She is taking weekly drug tests now to prove that she is clean and will soon be moving into her own apartment. Her hope is after proving she is clean and moving into her own apartment she'll be able to regain custody of her other children that were taken away by the state when she was using drugs.